This entry was posted on Sunday, February 5th, 2012 at 10:22 PM and is filed under 2011 Fantasy Football, 2011 New York Giants, 2011 NFL Playoffs, 2011 NFL Pro Bowl, 2011 NFL Regular Season, Big Blue, Bill Parcells, Chris Mara, East Rutherford, Eli Manning, Ernie Accorsi, G-Men, George Martin, Giants, Giants Coaches, Giants Front Office, Giants History, Giants Roster, Giants Stadium, Giants Super Bowl History, Jerry Reese, John Mara, Jonathan Tisch, Justin Tuck, Kevin Gilbride, MetLife Stadium, New Jersey, New Meadowlands Stadium, New York, New York Football Giants, New York Giants, NFC East, NFL, NFL New York Giants, NFL Playoffs, NFL Pro Bowl, NFL Schedule, NFL Super Bowl, Nilay Shah, NY Giants, NYG, NYG Blog, NYG Charity, NYG Exclusive, NYG Fantasy Football, NYG Playoffs, NYG Pro Bowl, NYG Regular Season, NYG Reporter, NYG Road Warriors, NYG Schedule, NYG Story, NYG Super Bowl, NYG Website, nygreporter, Pat Hanlon, Perry Fewell, Roger Goodell, Steve Tisch, Sunday Night Football, Super Bowl XLVI, Timex Performance Center, Tom Coughlin, Tom Quinn, University of Albany, Wellington Mara, Wounded Warrior Project. You can follow any responses to this entry through the RSS 2.0 feed. You can leave a response, or trackback from your own site. All i can say is WOW.well said my friend,i thanked GOD for this victory and i thank the nygiants organization for giving the fans this special gift twice in a little over 4 years.you said a mouthful rob,when you said some fans never get to experience this kind of joy and again i thank GOD because this nygiants team was truly blessed this season from where they were to how they finished.i will be celebrating this victory thats shared with us fans.just so proud of this ny giants team and always proud to be a nygiants fan GOD bless. What an incredible season huh Bobby? We made it through this whole season together on here talking Giants football and now we get the ultimate reward for what we do and can now celebrate a Super Bowl victory! 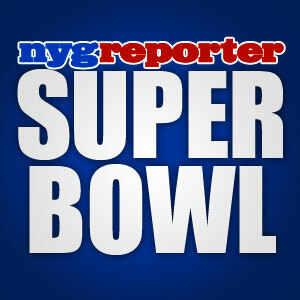 Congrats to the Super Bowl XLVI Champion New York Giants!